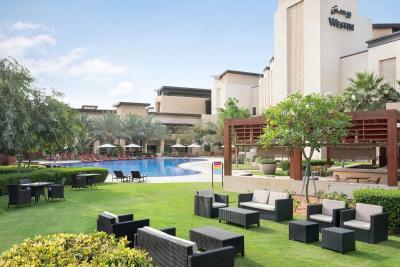 Lock in a great price for The Westin Abu Dhabi Golf Resort and Spa – rated 8.5 by recent guests! This hotel is amazing with all its amenities. Very relaxing and fun atmosphere, kids love it there. 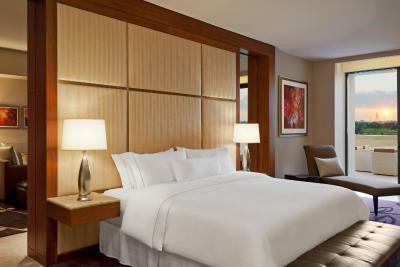 The rooms are extremely clean and the bed is truly heavenly. This is probably my 10th time to book there and will keep going back. Beautiful rooms. 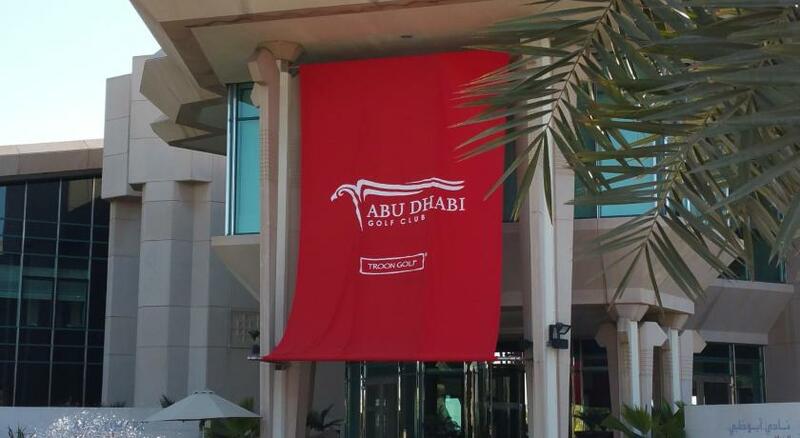 Very clean and great location for watching the HSBC Abu Dhabi Golf Tournament. 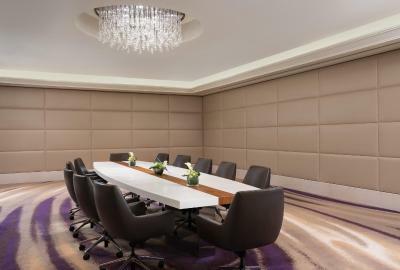 This is one of my favorite hotels in Abu Dhabi to spend the weekend and/or public holidays because of the smart location, perfect ID, very good staff and reasonable price. Reception staff are very friendly and accommodating. Lovely room. It was my birthday when we checked in and I received a complimentary birthday cake with a card. I love that the message was personalized and handwritten. Tells you that the staff added extra effort. 😊 I also tried the Heavenly Spa and it was nice, relaxing place. Best Room, Best Environment, Nice Staff ! clean People around ..Enjoyed Quite Pool to study my favorite book ! I will again Stay in this beautiful property and will recommend it to others as well to stay and Enjoy ! 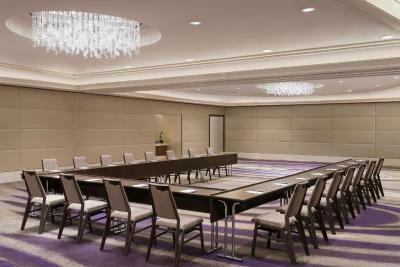 The Westin Abu Dhabi Golf Resort and Spa This rating is a reflection of how the property compares to the industry standard when it comes to price, facilities and services available. It's based on a self-evaluation by the property. Use this rating to help choose your stay! 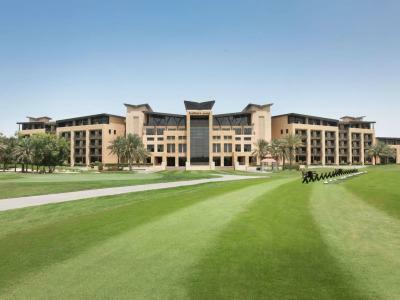 When would you like to stay at The Westin Abu Dhabi Golf Resort and Spa? 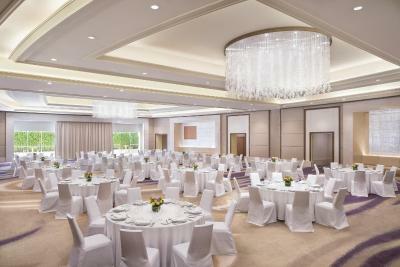 Located on Abu Dhabi’s premier golf course, The Westin Abu Dhabi Golf Resort & Spa is a vital part of the only true golf resort in the capital, offering unique surroundings and a highly attractive City Close & Country Quite location. The resort is an essential part of the Abu Dhabi Golf Club experience - one of the most luxurious golf resort experiences in the Middle East - and home to the HSBC Golf Championship over the last 10 years. The 27-hole championship course weaves through undulating terrain featuring pockets of palms, ornamental trees and shrubs, as well as seven spectacular saltwater lakes. 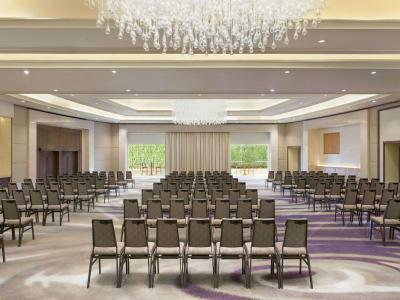 The design of the resort resembles a Falcon, featuring natural elements like Egyptian stone and Petrified Wood, combined with the typical Westin instinctive services focused on well-being and rejuvenation. 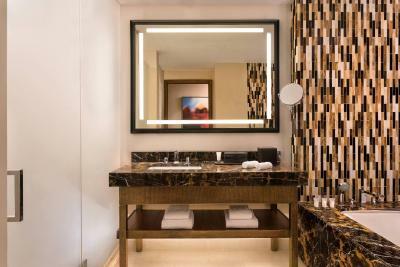 House Rules The Westin Abu Dhabi Golf Resort and Spa takes special requests – add in the next step! The Westin Abu Dhabi Golf Resort and Spa accepts these cards and reserves the right to temporarily hold an amount prior to arrival. Please note that guests will have access to the swimming pool located at the Abu Dhabi Golf Club at a distance of 5 minutes from the hotel, at no additional cost. The timings for the pool are from 07:00 to 20:00. Please contact the property for transportation information. Nice and quiet place good for family time. Wasn't impressed with food options especially at dinner time. I did notice the Friday brunch had an amazing selection but this was the only time during the 2 nights that we stayed there that the place was busy and unfortunately we only got half board and not full board. In terms of the location, my intent was to walk around with my kids. The security guard however stopped us from walking around the golf course and that was the WHOLE reason we selected this location. It was evening so it's not like anyone was playing. pool was nice and rooms were spacious. The safe in my room failed but was fixed quickly by the security staff. It has a Starbucks on site. Good Sports Bar. Good Spa facilities. The staff were very attentive and professional. Rooms are to a good standard with views over the golf course. Not very friendly maid. Room smelt of smoke. The only thing was when I opened the balcony lots of flies went into the room. The shower was leaking water into the floor a bit. That there was no kids culb on site. Most of the activates are bit far (15 mints) drive. The breakfast, as well as the staff were great. Especially Emmanuel in the juice corner. & The coffee was amzing. Overall, good stay. The volume of the music reaching even our room on the 5th was too high and lasted till 11pm. Even though it was pointed out the Hotel seemed to forget that we celebrated our 10th year wedding anniversary...it was a petty. It was enjoyable to walk around the property and have a nice cup of coffee at the Golf Club. The food was delicious at the Hotel.